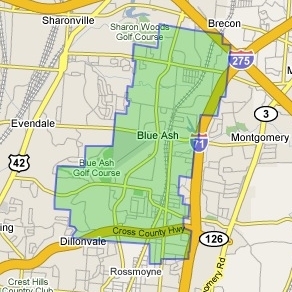 Dining options in Blue Ash are varied, and tend to be priced moderately to high – a hair above the central areas of Cincinnati. Many restaurants have a specialty, such as Marx Hot Bagels, which serves every type of bagel and spread imaginable. Through the Garden serves vegetables and herbs harvested right from their own garden, and has many vegetarian options. Gazebo Tea Garden offers English High Tea three days of the week, and private tea parties with reservations. For ethnic cuisine, Apsara serves Asian fusion, Cactus Pear does Mexican fusion, Johnny Chan and House of Zheng serve Chinese and El Pueblo is famous for traditional Mexican food. More standard Western fare is also available at Parker’s Blue Ash Grill, InCahoots, Slatt’s Pub, Blue Ash Chili and Decent Deli. 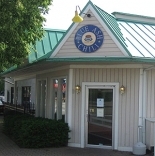 A great deal of the nightlife in Blue Ash revolves around bowling. 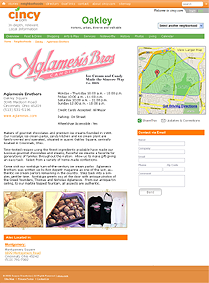 It's such a popular pastime that the area is home to three bowling alleys! If you are looking for a place to enjoy an aperitif or something stronger, options are available, but mostly within restaurants. Those preferring an upscale saloon-style atmosphere head to to Parker’s Blue Ash Grill, margarita lovers gravitate to Cactus Pear, and there are a number of exotic as well as local beers on draft at Apsara. 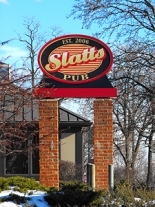 Sports enthusiasts and computer trivia fans head to Buffalo Wild Wings, and those in the mood for a standard bar atmosphere can check out Slatt’s Pub or Logo’s Sports Bar and Grill.